"Why are you fussing with that? We need to get back to the TARDIS. Now." The boy said crossly to Clara, as she knelt down to readjust his too long trouser legs. "Fine. 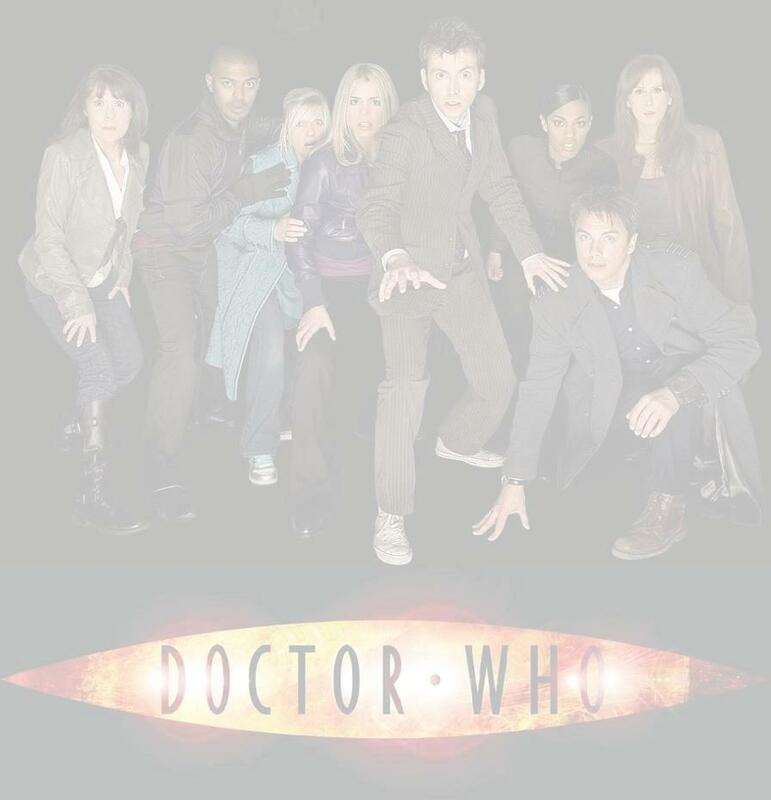 If you really want to regenerate again, because you tripped on your trousers and broke your neck, who am I to stop you?" She replied pointedly, raising an eyebrow at him. "Erm—right." The boy frowned, then shrugged shoulders lost in the folds of the suit. "Good point. Just do try to hurry if you would please, Clara. I need to put a trace on the energy readings from that device the Goji was using." "Yeah." Clara nodded, standing up. "What was that?" "I've no idea." The boy said. "I may not know how it works...yet. But I know what it's for, and it isn't for anything good." "And it's for...?" Clara let the sentence hang, waiting for him to let her in on what was happening. "It's some sort of hormonal growth reversal processor, I believe. Originally, the Goji used to be able to just touch a victim to make them younger. But as their race developed over the aeons, that natural ability began to fade. Probably due to in-breeding, I expect. They were hunted down by other races, including the Time Lords. As a result, their numbers slowly shrank over time from tens of millions, to mere hundreds. So, they developed artificial means to effect a transference. But I thought that technology was lost when they finally died out." "Obviously they use this device to make adults into children again. I get that, Doctor." Clara nodded. "But, why? What's it for?" As he adjusted his sleeves, the Doctor answered, "The Goji are a parasitical race, Clara. Distantly related to the Weeping Angels. They come from the same planetary system, actually. As you know, the Angels send you back in time, feeding off all your lost moments. Yes? Well, these creatures don't require nearly as much energy as that. They simply make you young again. Feeding off your emotions as you grow up. And of course, with the confusion and fear of adults suddenly becoming children again, there's an extra boost for them. Sort of like a sugar rush, I suppose. To the Goji, humans are the chocolate of the universe, you're such an emotional race." "Better to be emotional, then to become like a Dalek or a Cyberman." Clara sniffed. "Yes. Quite right!" The boy Doctor smiled. "Thankfully, I'm so old it only made me a teenager again. Instead of a young child," he nodded to Safara, sadness abruptly clouding his eyes, "like that police woman over there." Clara glanced at Safara. The girl was sitting in the back of the police car, sobbing softly. It was heartbreaking to hear. "Can you change her back? And what about you? Can you change back, as well? Or am I going to have to be your minder until you come of age. Which could take a while, Doctor. Because I've a feeling you never really grew up in the first place." The Doctor bit his lip, looking worried. He said softly, "I honestly can't say, Clara. It's never been tried before." He smiled, to seem positive. When in reality, he really wasn't feeling that way at all. "But, there's a first time for everything, I suppose. I'll try. But first I need to find the Goji and get a look at that mysterious device of his. And we can't do that standing around her, flapping our jaws." "Hold on there a minute, little man. I want to have a word." The policeman said as the Doctor turned to leave. "Little man? Little? Me?" The Doctor said indignantly. He paused, conceding, "Well, yes, I suppose I was in my seventh regeneration. But that's beside the point. If you'll pardon the pun constable, but are you trying to belittle me? Because quite frankly..."
"Oy! Take it easy now. I'm not trying to do anything but get some information from you. Now, where'd you come from? What's your name? Do you know who these two children are?" The policeman had brought the boy from the home, and had seated him in the back of his car alongside Safara. He'd taken a notebook and pencil from his pocket and was apparently waiting to write down some information. He got his answers quickly. "Galifrey. The Doctor. And the boy I suspect is the husband of the woman who lived in that house. And the girl is your partner, Safara. Now if you don't mind, I really must be on my way. Otherwise, a lot more adults around here are going to get much younger and shorter before the day is over." "Right. I don't think this is the time for jokes, young man." The policeman said sternly. Then he realized what the Doctor had said. "Wait. You said the woman who lived in the house. What did you mean by that?" "I think you should know better than I, constable. You just came from inside there." The Doctor responded cryptically. "Let's say there may have been a death." The Policeman said guardedly. "How would you know that, then?" "Isn't that rather obvious?" The Doctor asked impatiently. "Not to me it isn't, young man." "Young? Young?" The Doctor snorted. "I'll have you know that I'm..."
"Erm—Doctor." Clara interrupted. Leaning towards his ear, grateful for once that he was shorter than she was, she explained softly, "Ix-nay on the age-ay. He believes you're a child. So I don't think telling him you're a thousand years old will help, yeah?" "Oh, alright. Whatever you say." The Doctor sighed resignedly. "Look, constable. A woman screamed. Then she stopped. Rather abruptly. Then a Goj—I mean, a really scary monster, came crashing out of the house. I think it's safe to assume that she's very probably dead, don't you?" "OK, I'll buy that." The policeman nodded. "For now, anyway. But what about these other kids? And I mean, be serious this time. Do you know them or not?" "Not personally, no. Sorry." The Doctor said quickly. "Can we go now, constable?" "It's getting late. I really should take him home." Clara lied. "Or his mum will be furious." "My mum? Ooaff!" The Doctor said, as she gave him a hard nudge in the ribs. "Oh, right. Mum's making me a special tea today, constable. It's my er—birthday. Mustn't be late. So we'll just be off, ta." Grabbing Clara by the hand, the Doctor made to leave. But he was once again restrained by the policeman. "Terrific." The Doctor said, rolling his eyes. "What is it this time?" "You two aren't going anywhere. I'll call your mum and sort everything with her, don't worry." "Where are we going?" Clara asked, fearing she knew the answer already. "Oh, not again!" The Doctor exclaimed, throwing his hands up in the air. "And while I'm drinking tea and donuts with you, every single adult in the area of Greater London will be turned into toddlers. Wonderful!" "Looks like the creche business will be booming." Clara muttered. As she and the Doctor squeezed into the back of the car with Safara and the other boy. "That's not funny." The Doctor told her. "The more energy the Goji absorbs, the more powerful he'll become. No one—not even me, will be able to stop him. Think of it, Clara. A world full of children. No responsible adults to take care of them. Or of anything else. It will be the end of life as you know it."